It’s officially Spring and that means a lot up here in Northern Minnesota. Studded tires are coming off the fat bikes. Local gravel roads are finally clearing their ice and snow layers. Robins are back singing their morning and evening songs. And plans are being finalized for our fourth annual Le Grand du Nord gravel cycling classic, Saturday, May, 25, 2019. As always, we are looking to make the event unique, challenging, safer and always beautiful. Our Heck of the North Production events are different than those of our friends down South (think Almanzo, Dirty Kanza, Landrun 100.) We may not be the biggest or flashiest…but we like it that way. Our events are tough, beautiful and filled with amazing riders. If you are looking for scenery that is different than the rest, head up to our North Shore of Lake Superior. We have some of the best gravel roads in the country in some of the coolest small towns anywhere. We have three distances again this year that will be perfect for any level of rider. Our 20 mile event is a great starting point for those looking to experience gravel cycling for the first time. Our 50 mile course is a perfect early season test. And our 100-110 mile course (we are choosing the best possible route for this season!) will challenge those ready for big miles in May. So start getting those miles in. 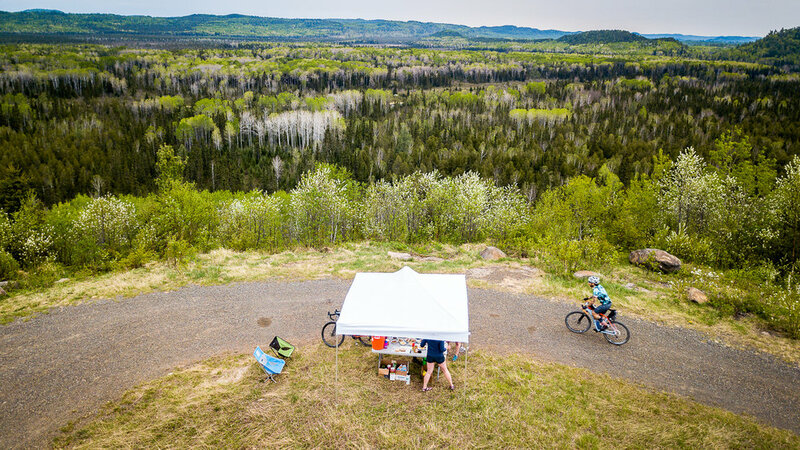 Make a weekend gravel trip to Grand Marais and experience one the best gravel cycling destinations in the US. As always, I’ll meet you at the finish line!